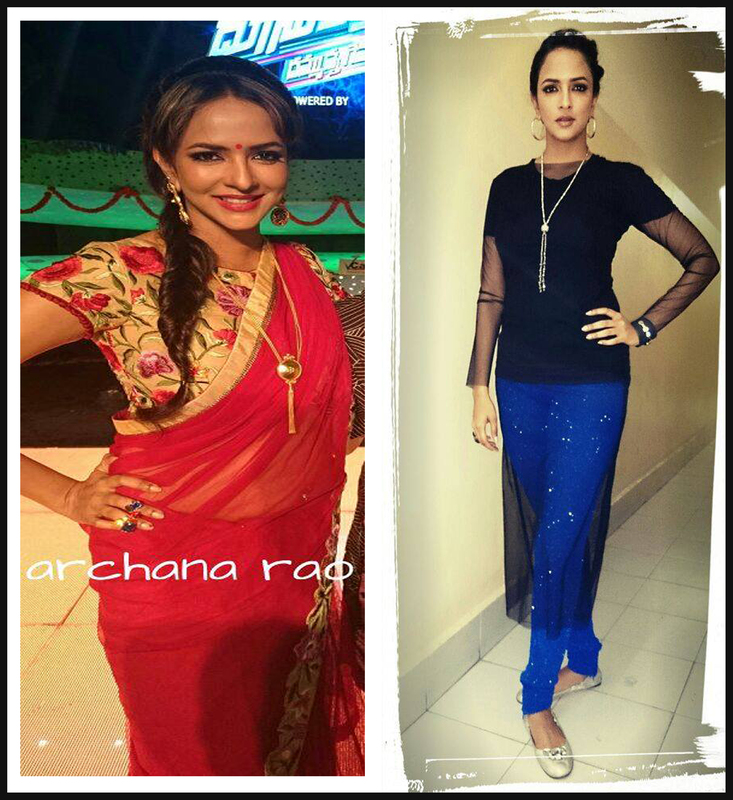 Lakshmi Manchu is without a doubt a sharp dresser, but there is a obvious shift in her outfit choices from her television show on Maa TV Doosukeltha, her style quotient went up a notch! 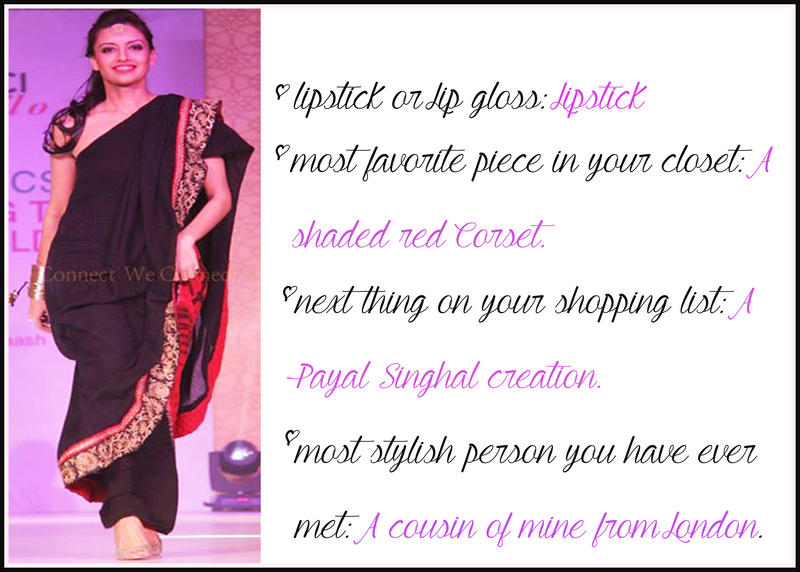 For that the complete credit goes to her fabulous and the most amazing stylist Shweta Malpani. I first got introduced to Shweta during my interview with Lakshmi, apart from reading amazing articles about her styling around social media, I have only spoken with her some time back in August. She is one of the sweetest persons I have ever met and is extremely helpful. She always amazes me with her expert styling and is most known for her attention to detail and is extremely talented. BV: Tell us a little bit about yourself ? Shweta: I moved to Hyderabad few years ago after marriage .A mother of two boys, Krish and Kabir, they are now 8 and 6, quite grown up, so I get a lot of free time and that’s why decided that it was time to pursue something I like. 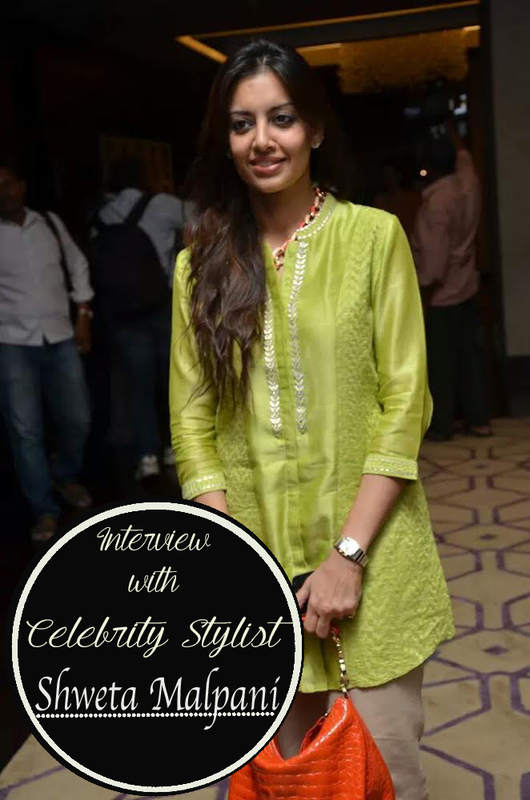 BV: How did you become a stylist for Lakshmi Manchu, how did that magic happened? Shweta: In 2013 I finished my course on Image Management and was wondering on how to start. this was last year before Diwali, that i just decided to call Lakshmi ,(who I had met through Vishnu , her brother and a dear friend of mine ) and request her to give me a chance to style her and she agreed with out a second thought. After the call, I was super nervous and almost had a panic attack. But, really it just took that one call and little courage. I started working with her from Doosukeltha TV show on Maa TV and ever since having fun styling her. BV: How awesome! I can’t agree more that you definitely took her style to next level. You are doing fantastic. BV: What are your two favorite looks of her, what is the behind-the-scenes story for these two looks? Shweta: My favorite look is when she wore a red sari by Frou Frou from Archana Rao for the Ugadi special episode of Doosukeltha, she looked resplendent. And this other look is with the blue sequins Manish Arora pants, which Lakshmi had lying in her closet unused since a long time. So we styled it with a sheer Masaba top, it turned out really good. BV: What would you do when you and Lakshmi don’t agree on one thing? Shweta: As a stylist it is important to understand the person you are styling, their body type and what are they comfortable in. I think once you get that right, there won’t be anything like not agreeing on a look. For Lakshmi, also I try and pick out clothes which give a proportionate look and is always pleasing to the eye. Probably only one thing we may not agree upon ie bling, (laugh) I always try to tone down the bling. She loves her bling. BV: That I surely noticed, you are balancing that quite well. Shweta: It is now time for us to match up to the international standards, in order to do that we really need to bump up the game. BV: One of your favorite memories as a stylist? Shweta: It felt good to see my name on the screen. BV: What are your favorite stores in Hyderabad? designer as well as secret stores with great steals? Shweta: I did not grow up in Hyderabad, so I may not have great suggestions for secret places to go for a steal. But the designers I really like are Sunaina Sood, Archana Rao and Anushree Reddy. For jewelry it is always Suhani Pittie. I have lost count to how many pieces I own. BV: How is the process like while styling Lakshmi from start to finish? Shweta: It mainly depends on what event I am planning her look for, for example during the Doosukeltha TV show, one criteria was according to the guests that we are having on the show that week. Once there were comedians, so we didn’t want Lakshmi to look too glamorous. And the other criteria was according to an occasion or special day like Sankranti or Valentines Day. And for films, it again depends on various factors like her character and her look in the film. Just finished with movie Budugu, outfits I picked for her are around the character and a particular scene.That’s all I can say right now about it. BV: How early do you plan each look? Shweta: Oh these things are planned in advance but you always need to have a back up and you never know what changes last minute. You need to be ready for all the fashion emergencies. We have to sit with designers and do alterations and fittings last minute some days. It can get challenging sometimes to get everything together. BV: What is in future for you? What can we expect to see from you? Shweta: I am really very happy right now with the amount of work I have, its keeping me busy and at the same time giving me quality time with kids and family. At the same time planning for the future, a bigger and better one. BV: How do you like working with Lakshmi Manchu? Shweta: Lakshmi is one of the nicest persons I have ever met, I am not saying this because I work closely with her. But she is really wonderful. she treats everyone that she works with from a spot boy to any one with love and great respect. I love working with her. BV: Best advice you can give someone who wants to break into styling business? Shweta: One thing that is really important is being very professional,because, you are working with celebrities. I am with Lakshmi all the time and sometimes she takes personal calls and deals with many film and personal matters before me. Such is our work. So, it is very important to be professional and not talk about things outside. What’s my business is nobody else’s business .It creates a trust and good relationship with whom you are working and that trust and compatibility is very important in this profession. Second thing I would advice is that you should really know which designers to reach out to and always maintain a good healthy relationship with them. You should understand and be logical about who you are contacting for a particular piece, it should be based on the designers plus points. And we have a lot of local designers who are making a big name for themselves and have created a niche in the fashion industry, a special mention to Archana Rao, Shilpa Reddy, Anushree Reddy, Neha Agarwal . And always give due credit to the designers. Wow…very inspiring and frank talk..the stylist looks like a celebrity herself. .